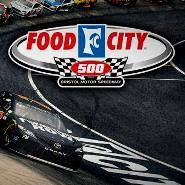 NASCAR’s Monster Energy Cup hits the high banks of Bristol for the Food City 500 this weekend as Kyle Busch looks to pick up where he left off by earning his second win in as many weeks after winning last weekend in Texas. Kyle put his number 18 car on the pole for the Food City 500 as he continues to excel at Bristol. Last year Kyle swept the fall races at Bristol and he looks to go back-to-back this weekend. His teammate Erik Jones has shown speed as of late as he was fast at Texas, just like Kyle. Jones was second fastest to Ryan Blaney in Friday’s practice and was close to taking down Kyle Busch here last fall. Jones nearly won at Bristol last August, but he came in second behind his teammate, so people must count him in when talking about drivers with potential to pull an upset. The cars of Stewart Haas Racing haven’t been as fast as expected and consequently, Kevin Harvick will start the race in a backup car after a practice crash on Friday. Harvick will have quite some work to do if he wants to have a shot at the win because drivers who use their backup car for the race get a starting spot at the rear of the field. Kyle Busch will have problems trying to win again this week because despite Harvick’s problems SHR remains a threat at Bristol. Kurt Busch has already won at Bristol in the past; and don’t count out Harvick, who despite his problems he always has very good races at Bristol. Bristol is also one Clint Bowyer’s best tracks and Aric Almirola is always a driver with the potential to break through the top of the race on any given week. Kyle Busch is the driver with all the momentum so don’t underestimate him and his chances at Bristol, but if he slips or crashes out of the race look for Blaney or one of the other drivers we mentioned to earn the checkered flag.